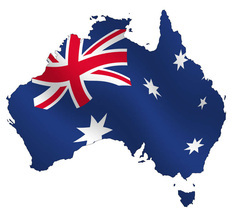 Sport plays a massive part in Australian culture so in this section we would like to look at Australian based mobile bookmakers who have a strong focus on Aussie sports, such as rugby, football, racing etc. If there is one thing Australians love more than watching their favorite football or rugby team play, it's having a punt on a sport. Luckily for them they have access to some of the most technologically advanced bookmaker apps available today. The latest range of Australian based bookmaker apps feature live betting, real-time odds updates, Ante post betting, single & multiple bets, mobile deposits/withdrawals, streaming Audio commentary, sports and racing results plus betting tips and advice. Australian Based - We only recommend Australian online bookmakers because of their expert local knowledge. Widest Coverage - Place mobile wagers on everything from the Melbourne Cup to the AFL Grand Final from your phone. Compatibility - These mobile betting apps work on every major mobile OS, including iOS, Droid and Windows Phone 8. ​Bet365, Australia's biggest bookmakers, are also the world's most popular sportsbook. Bet365 have developed bookmaker apps specifically for iPhone, iPad and Android. They have also created a mobile site that has been optimized for any other type of touch screen device, including Blackberry, Windows Phone or Nokia tablets and handsets. 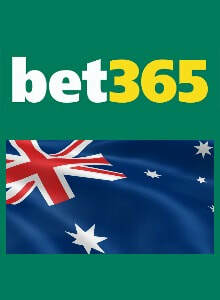 Bet365 Mobile offers betting options on greyhound, harness and horse racing from Australia, Ireland, the United Kingdom, South Africa, France and internationally. The app also includes detailed racecards for all upcoming races and a results section that is updated in real time. SportsBet is Australia's oldest licensed online bookmakers, having been in operation since 1993. They offer downloadable apps that can be installed on Android, iPhone and iPad devices. Users of Blackberry, Windows Phone or Nokia phone and tablets can use the mobile site, which offers all the same functionality and markets as the native apps. All major global sports and leagues are covered but the app also has a strong focus on Australian football, cricket, rugby and cricket. Horse racing fans are also well catered for with a top class mobile horse, harness and greyhound racing section. Get detailed racing form on any race from your phone and choose from a wide variety of betting options, including win, place, accumulators, each way, exotics and quaddies. Will I need to provide Australian proof of ID in order to open a new account? No, you do know need to provide any type of identification to create a new account. However, you may be required to provide proof of identity and domicile before you will be allowed to withdrawn your winnings. This is normal procedure for online gambling companies who simply want to ensure that the winnings are going to the right person. Normally passports, driving licenses or national identification cards will suffice. Can I place bets on European, Canadian and United States sports? Yes of course. Even though all of our recommended online bookmaker have a strong focus on Australian horse racing and sports, they also offer provide compete betting coverage of all major sporting events from around the world. Odds are offered on European soccer, American football, baseball, basketball, MMA/UFC, golf, tennis, ice hockey and horse racing from the United Kingdom and Ireland. Can I watch live horse racing or sports streams on my iPhone or Android? None of the the current batch of Australian mobile bookmakers offer live streaming of either sports or horse races on devices such as the Samsung Galaxy S5 or iPhone 6. How much does it cost to use mobile bookmaker applications? The good news is that online bookmakers do not charge their customers anything to download or use their mobile software. However, your network provider may charge you for data usage. Real Aussie sports fans know that nothing beats having the latest info straight from the field. Before the advent of the smartphone era, obtaining this kind of information required turning on your TV set or accessing the internet using your desktop computer, but nowadays all the key news, statistics and results are always at the tips of your fingers thanks to the latest Android and iPhone dedicated sports apps. Furthermore, those apps enable you to take advantage of additional (and often free) services, such as tips and advice, video streams, ticket price comparisons and updated sports betting odds. Another great thing about those apps is the fact that most of them tend to cover all the sports that Australians have learned to love, including Australian Rules Football, cricket, motor sports, golf, rugby, soccer, tennis and basketball. Looking for the latest information on the Australian Football League? No problem, download one of the quality sports apps and your Android smartphone will have you covered. You’re anxious about the outcome of the latest Australian Ice Hockey League match? With the right iPhone app there’s nothing to stop you from seeing the action via a live stream even when there’s something stopping you from watching it in the comfort of your home. Snooping for the latest scoop on Gary Ablett, Cameron Smith, Michael Clarke, Joel Parkinson, Patrick Mills, Pete Jacobs, Stephanie Gilmore or Daniel Geale? No problem, with one of those crisp Android sports apps you’re never more than a few clicks away from the latest stats, news and iPhone bets. If that wasn’t enough, with the right software you’ll gain access to video highlights, live betting, interviews, spread betting, records and all the statistics and standings you can think of… and if you end up looking for exclusive content, finding articles that have been written by established sports writers and on-air personalities won’t be much of an issue. If you’re a horse racing enthusiast, you’ll undoubtedly be glad to hear that there are numerous apps dedicated strictly to your favorite sport. Quite obviously, keeping track of all the major races like Victoria Oaks, Melbourne Cup, Caufield Cup, Sydney Cup, Randwick Guineas, Brisbane Cup, Do or WATC Derby would take a lot of effort if you were to look up all the information alone. However, with the help of a horse race betting app you’ll be able to access all the information while staying on the move so that you’ll always know which horses to bet and which races you should be looking forward to. Just like in the case of apps dealing with traditional sports, horse racing apps give you access to many amazing features in addition to the news feed and statistics. Those features often include race videos that allow you to relive the excitement you felt at the track or even live race streams. All things considered, once you give a few sports apps a try, you’ll be amazed how convenient they actually are – and you definitely won’t even consider going back to the days of being stuck with your laptop and TV.